As an ecommerce business owner, you know that optimizing your ecommerce conversion rate is vital if you want your online business to thrive. After all, your website is no different from a brick and mortar store. Your revenue depends on creating a seamless shopping experience and ensuring your customers check out with a cart that’s loaded with items from your virtual aisles. Before any of this even happens, your first task is transforming casual visitors into potential customers with an attention-grabbing, positive first impression. The reason is simple: what your customers initially perceive can determine how likely they are to pull out their wallets. This undeniable fact means that optimization often begins with your home page. It’s all too easy to prematurely plunge into A/B testing or revamping your message. Improving your ecommerce conversion rate doesn’t begin with implementing optimization tactics, however valuable they may be. It begins with thoroughly understanding your target audience. Unless you gather insights on the customers buying your products, you can’t effectively better their experience. Here are 3 key facts you must know about your ecommerce audience before you ever begin optimizing your home page. Any successful business begins with identifying customer needs and clearly communicating how you provide unique solutions, and the same is true for your online store. 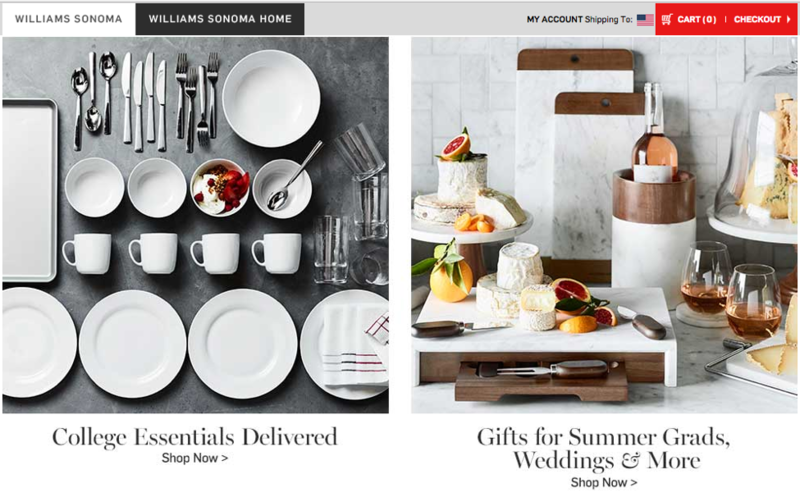 Take a look at Williams Sonoma’s home page to see an example that quickly demonstrates how a website can connect products to its audience’s needs. Whether it’s a mom looking to furnish her kid’s dorm with quality cookware or a busy corporate manager searching for a wedding gift, the customers, their needs, and the solution are defined in a few, short seconds. Having a clear home page message can drastically improve your ecommerce conversion rate. Let’s say your ecommerce store features hand-crafted watches that are waterproof up to 100 meters. Your home page targets an audience you think is interested in the handcrafted value of your watches. But the reality is, your actual customers are more interested in the waterproof qualities of your product line. Misunderstand your audience’s needs, and your efforts to improve your ecommerce conversion rate will be severely misguided. What needs have driven them to your website. What solutions they think will solve their problems. What fears and concerns they have. What triggers them to take immediate action. More than likely, you founded your ecommerce store on insights you personally gathered on customer needs. However, when it comes to optimizing your conversion rate, this is simply not enough. Increasing your revenue begins with gathering specific information on as many customers as possible—not simply the ones you’ve communicated with as this can create a less-than-accurate picture of your audience. Analyze contact forms and information from phone calls. Comb through the contact forms your customers have sent, and analyze these forms for information that reveals common customer needs. If you have software that records incoming calls, evaluate these files to gather critical data on what questions your customers have. Analyze direct chat records. If your ecommerce company provides direct chat, then you’ll want to access your transcripts to uncover what information these reveal about your customers. Chat transcripts can shed light on everything from your customers’ pain points to needs they haven’t found a solution for. Important: If you don’t have direct chat available, Moz recommends that you provide this option for your customers as a simple way to improve your ecommerce conversion rate. Survey your customers. Another common practice you can use to better understand your customers is surveying your audience. Software, such as Qualtrics or SurveyGizmo, allows you to send surveys to customers directly on your mailing list. You can also use software such as Qualaroo to integrate survey questions into your site. This software can even offer surveys based on the length of time a customer has been on your home page or when a customer appears to be leaving your home page. Important: As Qualaroo points out, be sure to ask only the information you need when creating surveys. Once you’ve identified some common customer needs, your next step is to pinpoint the keywords your customers use to articulate these needs. At first, you may not see an apparent connection between increasing your ecommerce conversion rate and conducting keyword research. You may think that keywords are simply used to drive traffic—not to optimize your home page. Understanding the correlation between how users search and the relevancy of your pages to those queries provides insight into how to optimize your content. While your home page may have a number of good keywords, some phrases will drive clicks more than others. Understanding which keywords cause your customers to take action empowers you to more deeply understand your customers and craft a home page that taps into their needs to increase conversions. When it comes to understanding what search terms your customers’ are using (and which keywords will produce clicks), you’ll need to turn to Google Analytics. What search terms garnered impressions of your website pages in Google’s results. The click-through rate for these web pages. If you notice that one search term led to a higher click-through rate, this can indicate a need that drives your audience members to take action—a valuable piece of information for optimizing your ecommerce conversion rate. To get an idea of how to interpret this information for your website, here’s a Search Query Report we generated for one of our clients where we’ve sorted the results by impressions. Notice that the term “white gold” generated the most impressions—over 25,000. However, this term has only garnered five clicks for those thousands of impressions, which means this phrase doesn’t seem to spur potential audience members into action. In contrast, the term “unique wedding rings” has generated almost 9,000 impressions and over 280 clicks for a click-through rate that’s around 3%. For optimization, it’s obvious that this keyword has a higher profit potential. Please note that this keyword data is only available inside your Search Console. 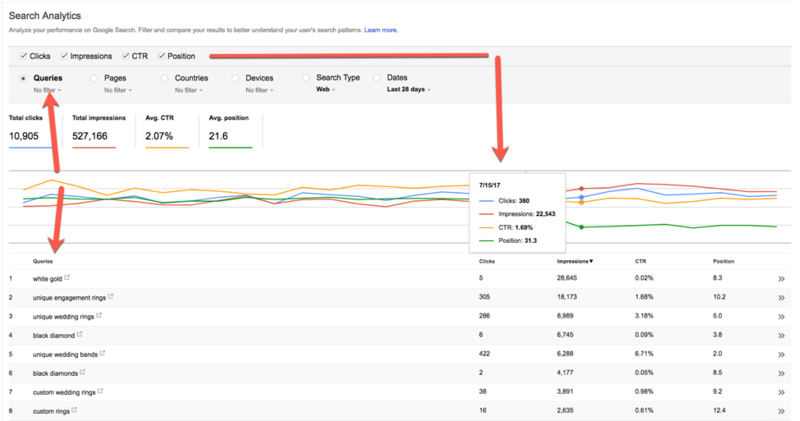 And, if you want to retrieve this information in Google Analytics, you’ll need to connect your Search Console and your Google Analytics account together. Another method you can use to gain keyword insights from Google Analytics is to analyze your landing page performance. Once you’re on this page, you can view which pages have garnered the most traffic. But, to understand the keywords you should leverage, you’ll need to determine if these pages are contributing to your revenue. If they’re not, then you’ve placed a finger on a problem. Maybe you’ve chosen keywords that produce traffic—but not conversions. Or perhaps your copy doesn’t align to the phrase that drove the user to click through to your website. Between analyzing your queries and evaluating your landing pages, you’ll tap into the terms and keyword phrases that can create better conversions. Identifying how your customers interact with your home page is another key piece of information you’ll need to improve your ecommerce conversion rate. How much of your home page content your customers consume. You’ll want to see how far they’re scrolling down your home page. What captures your audience’s interest. 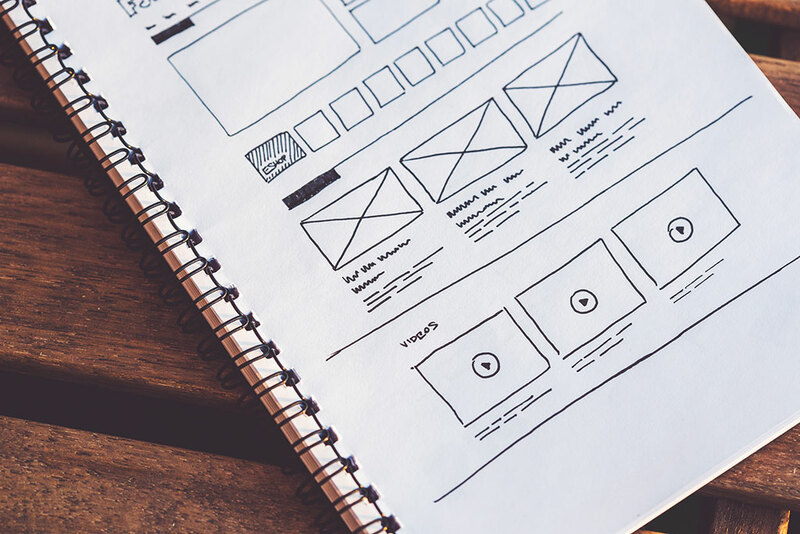 Knowing which parts of your home page are most relevant to your customers is a critical piece of information for redesigning your home page. If your customers are clicking your desired CTAs. It’s important to know if your customers click the links that lead to conversions. However, to gather these pieces of information, you’ll need access to some important tools. When it comes to your ecommerce website, there’s no need to guess how customers are experiencing your home page. The good news is there are several software solutions that reveal how your audience interacts with your site. If you want to see how much of your home page content users consume, check out Crazy Egg’s software. Crazy Egg provides a heat map revealing how far your customers scroll down your home page…and even the point where they decide to leave. If you want to understand what home page content customers find interesting or relevant to their needs, check out Clicktale’s software. Clicktale’s heat map can show how long your users interacted with the different elements of a page, and Clicktale suggests combining this data with a scroll map to see which sections attract greater attention from your customers. While you certainly can use Crazy Egg, Clicktale, and other software to analyze your customers’ clicks, you can also access this information for free with Google Analytics. Using the In-Page Analytics feature, gain data on which home page links your customers are clicking most often. A frequently clicked link can uncover a hidden need…or it may reveal that your home page design is stunting conversions. For a more visual way of analyzing your clicks, you can leverage Page Analytics, a Google Chrome plug-in. This allows you to analyze the same information in an easy to understand format. Here’s a look at a Page Analytics report for AgileGrow’s home page. Here you can see how the report has assigned percentages to the different elements of our page, revealing where our users click most often. From understanding what links customers are clicking to knowing what questions they are asking in contact forms, gathering data on your audience is your first—and most crucial—step for improving your ecommerce conversion rate. Identify customer needs by mining data in emails, phone calls, chat records, and surveys. You’ll gather critical information to optimize your navigation structure and place words most relevant to your customers in the top, right area of your page—a key method for driving conversions.You’ll also gain valuable information to revise your copy, calls to action, headline, and more. 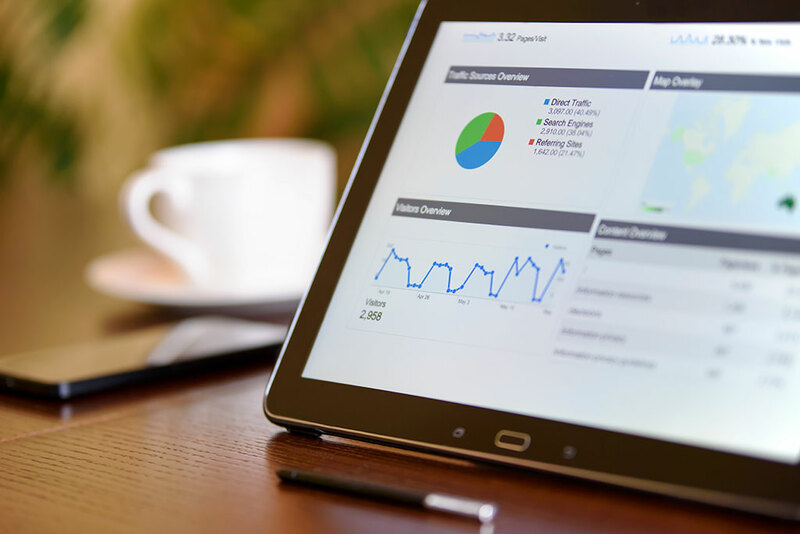 Use Google Analytics tools to understand which keywords your customers are using, which pages they land on, and which terms are most likely to drive conversions.With tools such as the Google Analytics Query report, you’ll have insights to know what verbiage to use. You’ll also gain information on valuable keywords so you place your most relevant content or ecommerce items above the fold. Identify how customers interact with your current home page through heat map software, such as Crazy Egg, Inspectlet, and Clicktale, as well as Google Analytics.This valuable data can help you lower your bounce rate, eliminate friction from the buyer journey, drive customers to check out, and reduce the clicks from landing page to purchase. Once you gather this data, you can start optimizing your home page based upon what your customers need—not what your graphic designer thinks is cool. If you’re ready to craft customer insights into an online store that converts, partner with AgileGrow. We’ll help you weave customer data and conversion rate optimization best practices together to effectively increase your lift. Let’s discuss how to transform your ecommerce store today.